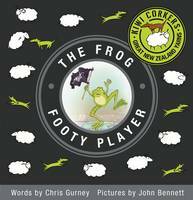 This book is in bookstores now and is a finalist in the New Zealand Post Children’s Book Awards. Set in New Zealand, this book follows the story of Finn. Finn is your average teenager – or at least, that’s what he will tell you. Ever since he moved to a new, expensive school, Finn has taken on another life by keeping his previous one a secret. After all… who needs to know that his father is on trial for killing a woman? Although Finn is skeptical about this “posh” school, he quickly makes new friends and joins the school orchestra, where he meets Mia. Perhaps his mother was right about sending him away from all of the chaos at home? Pleased to have a fresh start, Finn continues to keep his secret – but soon it becomes clear that he is not the only one who knows. As rumours begin to spread, Finn struggles to keep the truth under cover. Will he manage it, though? Can he cope with the pressure of living two lives? Is it worth this much effort to tell his friends so many lies? When Finn attends a party after his school ball, everything is changed. Readers will be impressed by the believable characters that carry out the story of Snakes and Ladders; they each seem so unique yet so easy to imagine. Finn, Mia, Eddie and all the others are the sort of characters that readers will root for, despise, pity and love. While the humour and tension of Snakes and Ladders makes it a novel well worth reading, be warned; the book progresses very slowly, making it a bit difficult to get into. That said, you will love the strong amount of suspense! If you want a read that you will enjoy reading over and over again, try Snakes and Ladders – you won’t be disappointed. It’s always interesting when you read a book about a well-known event and an entirely different perspective is presented that makes you pause and think. As the cover of this book suggests, it is set in World War II and the narrator is Adam, a 12 year-old Polish boy whose family are uprooted and relocated to various labour camps in Russia. Reminiscent of The Boy in the Striped Pyjamas, the main character, an adventurous boy named Adam, has no idea what is actually happening to him; the political background remains unspoken. Of course, as readers in 2012 we know the unspeakable terrors of World War II are not far away. I really like the authentic voice that this character has – he is undeniably his age, and he never quite comes to grip with why the events that unfold in this book (and his life) actually happen. It’s easy to believe in this young character, who is in fact the author’s father. Melinda Szymanik has skilfully managed to recreate her father’s young persona and avoids any temptation to preach, inform, or explain this war. Adam never becomes bitter and jaded, he still notices the small wonders of life and is resolute in his will to survive. The book opens with the family’s idyllic life on a farm awarded to Adam’s father for military service. They are hard working, and enjoy a comfortable and fruitful, if not wealthy, life. But the new authorities have decided the farm should be re-gifted to another man and rather suddenly, the family are ousted from their farm and find themselves heading to places unknown. Their imposed long train journey starts in a cattle wagon and finishes in what appears to be a concentration camp albeit without the gas chambers. Disease, death and hunger accompany this family through their enforced journeys through a vast area we would know as Russia and Persia. Weeks, months and years pass. The end, when it comes, is thrust upon Adam’s family as suddenly as that first train trip was thrust upon them. This plight of displaced persons during World War II makes a sobering read, but this is a tale of survival and although Adam’s family is changed beyond recognition through their experience, there is a happily ever after. “I have read other Dinosaur rescue books and enjoyed them, so I was excited when this book arrived and I saw the cover. The cover of a book is really important to me because when I am in the shop or library looking for a new book, the cover catches my eye. This cover is good because it has a clear picture of the animal the book is going to be about. It also has the Dinosaur Rescue title at the top so I knew it was in a series that I liked. I also like reading the blurb of a book to help me decide. This one was very short but it asked a question which got me interested and I knew I would have to read the book to find out the answer. I also like that the back has a colour picture of the main character – Arg, on it to help me imagine him better. Inside the book there is a really cool map, this is useful when you are reading to help you work out where the places the book talks about are. There are actually lots of useful pictures and diagrams in the book and this helps you understand who the people and animals are as well as making it more interesting than just plain text. Sometimes the pictures are of things that are happening in the book but a lot of times they are to explain facts or things we should know about the prehistoric and jurassic periods, like how to tell the different types of teeth that different dinosaurs have. I like the names of the people and animals in the book. They are good names because they sound like that person might talk or the noise the animal might say. For example, Arg’s pet Microceratops is called Krrk Krrk and I like saying that word. So reading the book to mummy was good fun, especially when she read it out loud too and made the different noises. We laughed lots. The story in this book was really good – it made me want to keep reading until I reached the end as I couldn’t guess what was going to happen. It had some suspense in it and so it wasn’t boring. I also liked the funny bits in it, and I kept laughing when I was reading it. The descriptions in the book were brilliant, I could imagine exactly what things looked like. This was good when I was reading about the dinosaurs and the people, but it wasn’t so good when the writers described someone being very sick! I liked this book because I could read it more than once, and each time, I would see something else in one of the pictures or a detail somewhere that would make me interested again or laugh more. I also liked the facts in it because I wrote about some of them at school and got the days best writing for it. “This book was a great book to share with my 7 year old. He and I both read it together, as well as him reading it several times on his own. The language was descriptive without being boring and the vocabulary used extended him nicely. I loved the fact that the story is interspersed with facts about the Stone Age, for example, a couple of pages explaining the history of time and how it is measured. The way the facts are presented means they are likely to be retained by the reader – over the past few days my son has volunteered all sorts of facts that he has garnered from the book. Did you know for example, who invented the first fire brigade? My son now does, and so does anyone who has recently spoken to him! The writing is presented nicely, with the text broken up with line drawings and diagrams. This kept my son’s interest and helped him imagine the scenes better. he also enjoyed looking at the maps and drew his own, adding to them as the story developed. There is enough humour in the book to keep an adult entertained as well as a child and it is great fun to read out loud. I would recommend this book to anyone with a child in the age 7 – 10 reading range, and knowing there are more in the series is great, as is the fact you don’t have to read them in order – they all work as stand alone books too. The subject matter of dinosaurs and similiar creatures is perfect for this age range, and the Neanderthal boy, Arg, is a relateable character. Ransomwood by Sherryl Jordan has been an absolute pleasure to read. The author’s very descriptive and emotive writing style immediately swept me up into the beautiful if harsh small town of Grimblebury, a seemingly sad farming community full of mean spirited and spiteful gossips. I immediately fell for Halfwit Harry, especially after his very funny, very insightful conversation with his mother about being the last man on earth! He may speak rather slowly and not always understand people’s inferences but he is a very likeable and funny character, and by the time Harry finally finds his tongue and gives Gwenifer a well deserved lashing, I was a little in love with him! Halfwit Harry is adorable, and a true friend to anyone if just given the chance. Initially I was unsure if I was going to like Gwenifer or not, but once I read about her life with her despicable and lecherous Uncle Caleb and his equally hateful family, my heart melted for her. She really just wants to escape the tormented life she’s been forced to live and mistakenly falls for a cad’s sweet words of love. Openly rude to both Harry and Mother Dorit, it doesn’t take long for Gwenifer’s standoffishness to melt away, showing us her tender, caring side. Ransomwood really is a well-written and lovingly told tale of sacrifice, friendship, and self discovery. And with a little help and insight from the ‘old witch’ Mother Dorit, who because of her blindness really see’s into a person’s soul – see’s the truth behind lies, Gwenifer and Harry start to see the hidden depths in each other that they both try so hard to keep hidden from the world. Sherryl Jordan’s story writing is smooth throughout and paints such a clear and real picture whilst reading, that time just slips away. Filled with a diverse and colourful cast of characters, and set in a primitive and unforgiving land, Ransomwood is a brilliant story that readers of books both young and old will fall in love with. A beautiful and sweetly engaging story, Ransomwood gets a well deserved 5 stars from me.